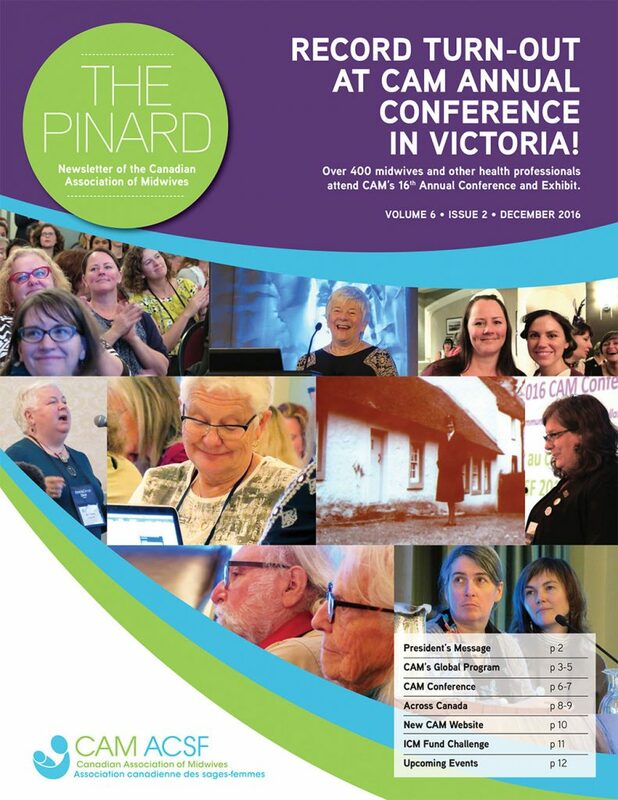 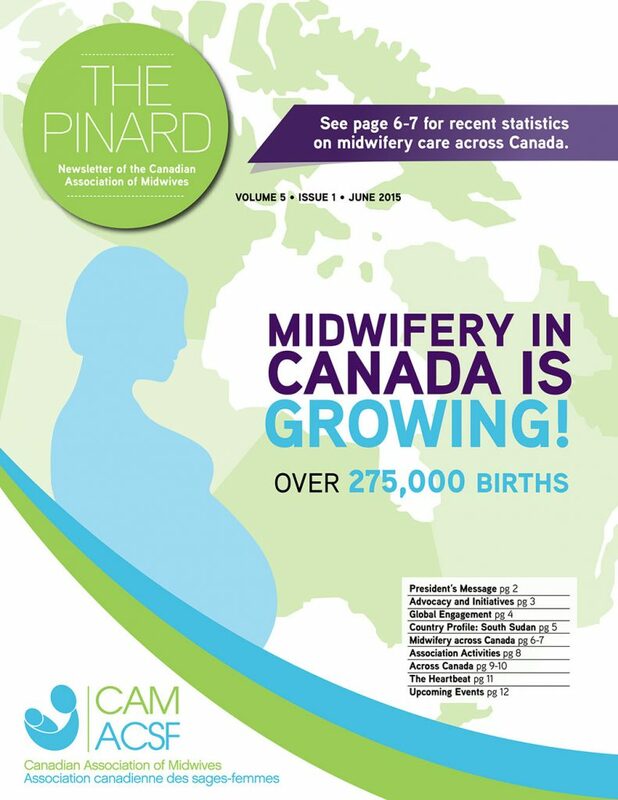 INSIDE: Read about the CAM Conference, the Global Health Symposium and the NACM Gathering; learn about respectful maternity care training in South Sudan. 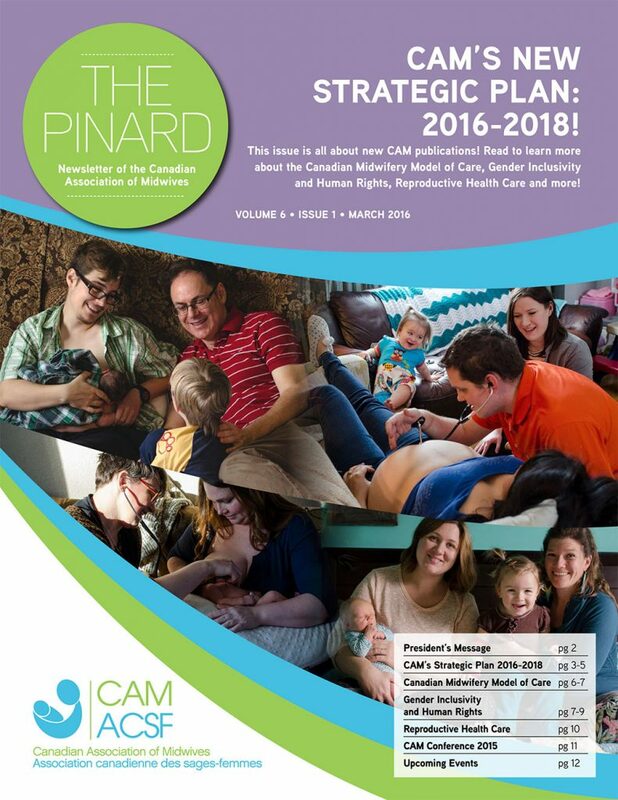 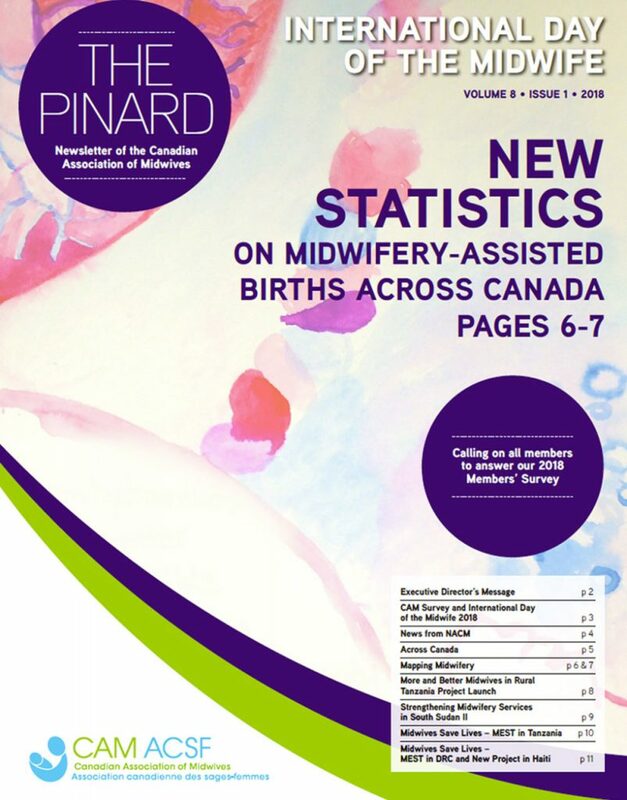 INSIDE: Discover the 2017 statistics about midwife-led births in Canada; read about the reflections of a Quebec midwife inspired by her Congolese colleagues and celebrate with New Brunswick midwives on moving into their new home! 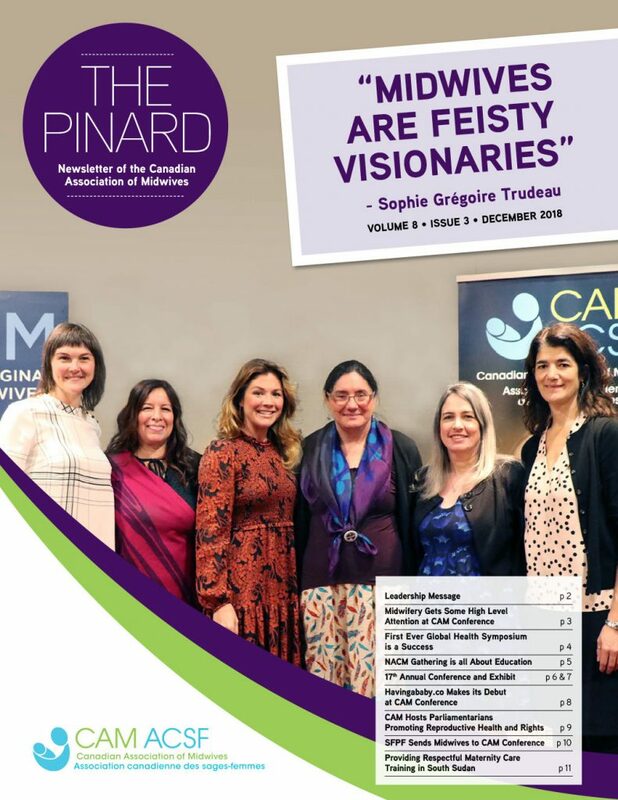 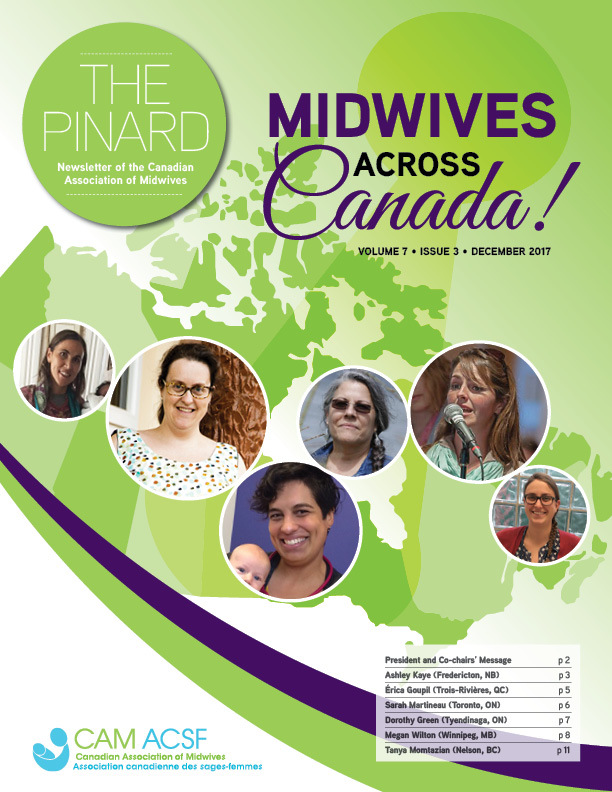 INSIDE: Discover the stories of six members of the Canadian Association of Midwives from six different regions of Canada, and how each has come to midwifery and made it her own. 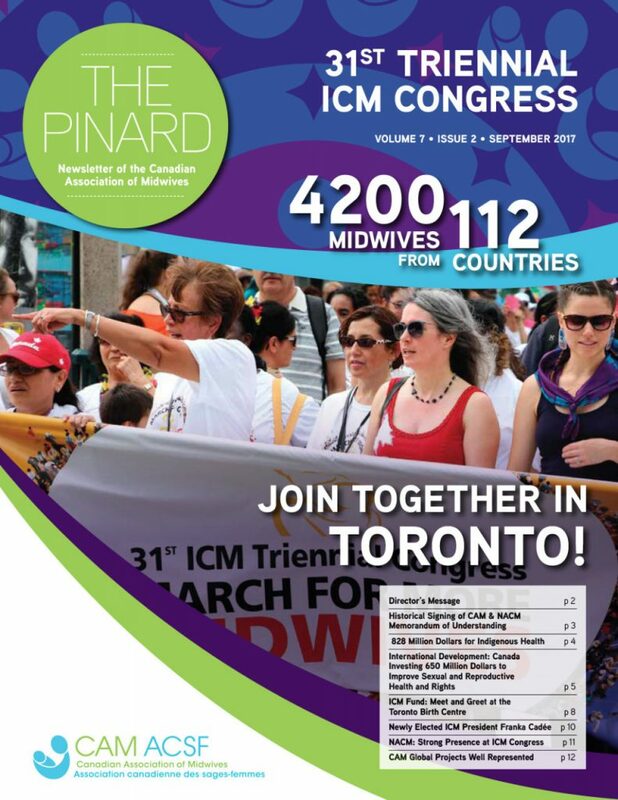 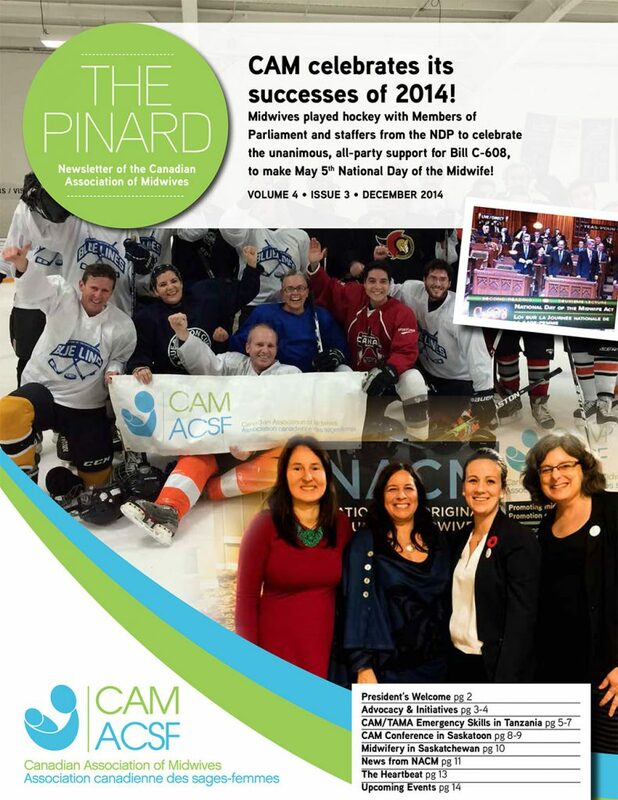 INSIDE: Highlights of Toronto ICM Congress, Historical signing of CAM-NACM memorandum of understanding, ICM March for More Midwives event, Strong Indigenous presence at ICM, CAM-Global well represented at ICM, and much more! 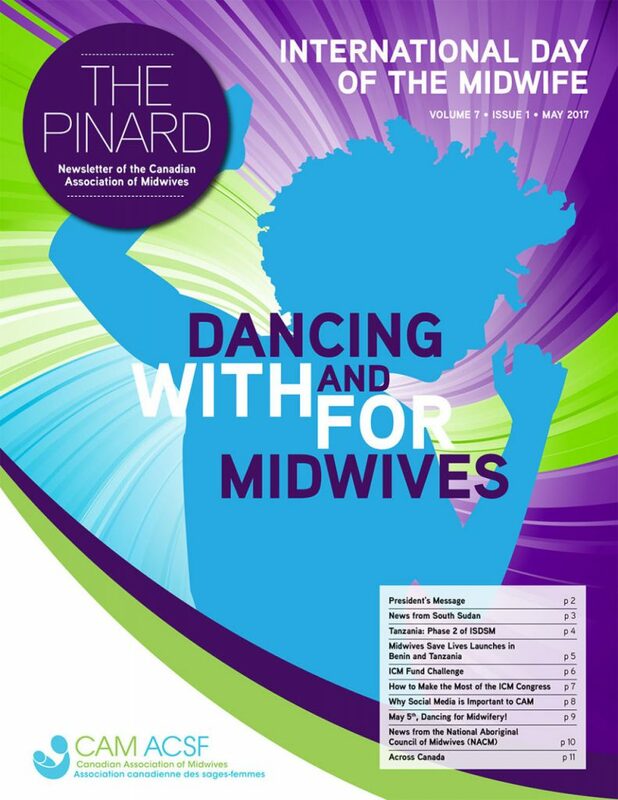 INSIDE: CAM-Global projects in Benin, Tanzania and South Sudan, midwifery in New Brunswick, our IDM #DanceWithMidwives event, suggestions on how to prepare for the ICM Congress, and much more!